More content is coming to Fortnite. Fortnite’s v7.30 Content Update patch notes have been pushed live. Developer Epic Games used them to reveal everything that’s coming to Battle Royale this week for players to explore. We already knew part of what was coming, as usual. 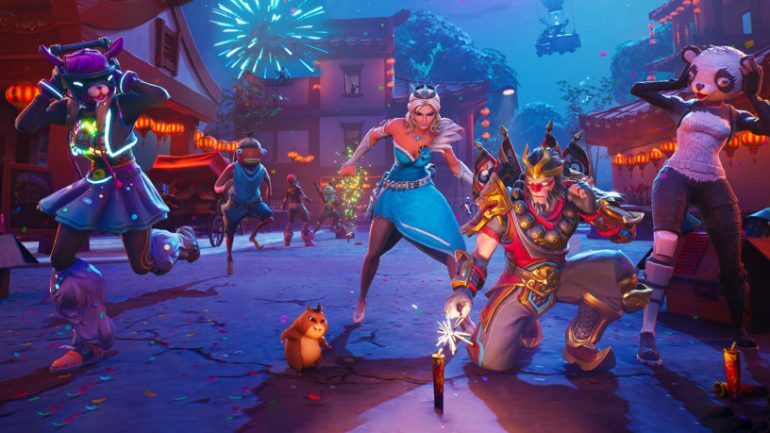 Epic teased news like the Foraged Campfires and Bottle Rockets additions, and also made notes on their Community Issues board that some bug fixes were on the way. Check out the most important things that are coming in Fortnite’s v7.30 Content Update. We finally know what Bottle Rockets are. They are an uncommon throw item that players can find from Floor Loot, Chests, Vending Machines, Supply Llamas, and Supply Drops. Once players throw them, the item will shoot small rockets by itself over roughly nine seconds. Each rocket deals 10 player damage and 40 structure damage, and each Bottle Rocket fires up to 45 rockets total. Each player can only have two Bottle Rockets active at a time. That means a single player can deal up to 450 player damage and 1,800 structure damage per Bottle Rocket placed on the ground. Players can now heal themselves by lighting up campfires that are spread around the Fortnite island. They can be lit up by interacting with them, and they’ll heal everyone around them for two health per second for 25 seconds, up to 50 health per use. It works almost exactly like the item Cozy Campfire, except players can’t carry them around and have to find them instead. Only one Foraged Campfire can be used per match, and used campfires won’t have wood on them. Epic has announced that the Boombox is now vaulted. This item allowed players to place a sound box that constantly dealt damage to structures and took them down, but it would probably feel redundant now that Bottle Rockets are here to do the same thing.